SAN DIEGO (3-30-16) — One of the East County’s surging teams are the Santana Sultans, who have proven they can win whether it’s day or night. In Tuesday’s (Mar. 29) first round of the Bill Dickens-City East Classic the Sultans challenged the lights at Francis Parker. It took 8 innings to secure a 2-1 victory over the Lancers. One of the standouts for the Sultans was TRISTEN SALINAS, who initiated both of Santana’s rallies and closed the game out with a pitching save. In the first inning Salinas led off with a double and advanced to third on a base hit by REECE HERNANDEZ. Parker turned a double play on the next batter but Salinas gave the Sultans their first run. Santana was virtually silent thereafter until the eighth inning. Once again Salinas provided the spark with his second double, advanced to third on a wild pitch and scored on a throwing error to provide the Sultans with the margin of victory. Salinas pitched a perfect bottom of the eighth, striking out two to earn the save. NOAH NUNEZ pitched seven strong innings for Santana, scattering 3 hits and striking out 10 to earn his third win of the season. GRANITE HILLS 10, PATRICK HENRY 8 – The sometimes powerful Granite Hills Eagles broke out the bats in the first round of Tuesday’s (Mar. 29) Bill Dickens-City East Classic in a victory over Patrick Henry. The Eagles pounded out 11 hits as they dismissed the Patriots. Granite Hills scored 5 runs in the third. The Eagles received an RBI double by DARIEN COSSIO, a 2-run single by ANDREW BROWN and a 2-run base hit by BLAKE ST. CLAIR. SEAN ROSS added a 2-run single in the fourth. Hot-hitting DILLAN SHRUM was 2-for-2. Although he was cuffed around, Brown picked up the win with a 6-inning stint. JOSH VERDON toiled a shutout seventh to earn the save. WEST HILLS 13, UNIVERSITY CITY 9 – The secret is spreading like wildfire: when West Hills scores, it is tough to beat. The only problem is all four losses by the Wolf Pack were by shutout. However, the revolving door at the top of the batting order may have found a comfortable stop. In his first career start as a No. 1 hitter, senior left fielder CLAYTON LEWIS reached base on four straight trips to the plate, scoring three times then driving in a run on his fourth at-bat to fuel the Wolf Pack to a 13-9 verdict over host University City in Tuesday’s (Mar. 29) opener of the revised Bill Dickens-City East Classic. With lost CIF-San Diego Section leagues now configured by power rankings, the decades-long GUHSD Conference Tournament has been swept away with a crossover with schools out from San Diego Unified. Lewis’ 3-for-4, three runs scored results brought smiles to a coaching staff searching for a gunner in the leadoff role. Receiving an at-bat in each of the first four innings, he was hit by a pitch and scored in the first as the Pack batted around. Again leading off in the second, Lewis singled and scored, then in the third he reached on a sacrifice bunt which rolled unplayable for a scratch basehit, also eventually scoring. In the fourth, Lewis connected for a clutch two-out line single to center field to drive in a run for a 9-1 lead on the Centurions. Despite the 8-run cushion, University City scored five times in the sixth, then brought the potential game-tying run to the plate in the seventh. However, Wolf Pack catcher AARON BARKLEY entered to collect his second save in as many opportunities. After striking out a batter, Barkley issued a walk to load the bases, but struck out the next two batters. In addition, RANDY JEWELL batted 3-for-3 with two runs and a pair of RBI on a fifth-inning triple, while NICK WILSON went 2-for-3, also scoring twice and driving in a pair on consecutive basehits in the first and second innings when West Hills took early command at 5-0. ZACH SANDOVAL also contributed a pair of basehits. West Hills continues tournament play Thursday, hosting Scripps Ranch at 4 p.m.
HELIX 15, LOMPOC 8 – The Helix Highlanders unleashed the offensive cannon in Tuesday’s (Mar. 29) first round of the Righetti Spring Classic in Santa Maria. 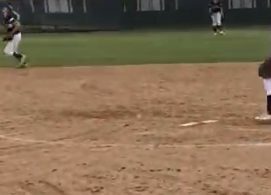 The Highlanders hammered out 15 hits as they rolled over Lompoc with relative ease. CONNOR KONISHI set the tone for Helix as he was 4-for-4 with 4 RBI, including 2 doubles and a triple. A junior southpaw, Konishi, who is recognized mostly for his pitching with 17 career wins in 2½ seasons for the Highlanders, is also a premier hitter. “He’s always been able to swing it,” said Helix coach COLE HOLLAND. ERIC SMELKO had probably his best outing with the bat all year as he was 3-for-4 with 3 runs scored. JACK STRONACH was 2-for-2 with 3 runs scored and 3 RBI, while HUNTER ISBELL was 2-for-5 with 3 RBI. The two teams banged out 25 hits between them. “You never know, when you take a team on the road what you’re gonna get,” said Holland. The Highlanders took a 3-0 lead in their first turn at bat. Smelko singled and Stronach was hit by a pitch. and Konishi tripled the two runners home. But it wasn’t until the 6-run fifth inning that Helix secured the victory. Helix will face Lakewood in Wednesday’s second round at 4:30 in Santa Maria. POINT LOMA 4, CHRISTIAN 3 – When two teams of equal talent get together magical or horrific things can happen. Well, on Tuesday (Mar. 29) it was a magical game through three innings and a tight game throughout. Point Loma would end up winning a 4-3 contest that had some crazy events happen in the final inning of the first round of the Bill Dickens-City East Classic. The first three innings of the contest saw JOHN GERSHOW and Cole van den Helder both had dueling no-no’s going. Gershow was the first to blink as he allowed a pair of hits in the bottom of the fourth. Van den Helder allowed his first hit in the top of the fifth inning. 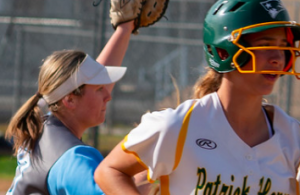 Point Loma (6-4) were able to string three innings together with hits, the third through sixth, but couldn’t cash in to get anything on the scoreboard. Christian (5-6) was held in check by the Pointer pitching staff. 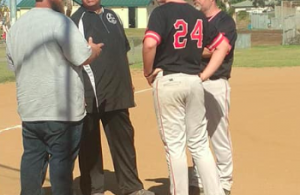 But the Pointers’ pitching staff has an edge as it is coached by former Major Leaguer David Wells, a Point Loma graduate himself. All the activity as far as scoring occurred in the seventh inning. With one out, Stanford Cardinal to be KYLE STOWERS drew the only walk of the day by either side to reach first. CHASE WEHSENER singled to right, again the only batter to do so on the day, to put runners on first and second. GARRETT NIELSEN singled up the middle to bring in Stowers and break the seal on the scoring. Wehsener moved over to third on the Nielsen single. BRANDON HESTER pinch ran for Nielsen, and promptly stole second to put two runners in scoring position. Gershow singled up the middle to bring in Wehsener and a 2-0 lead. Gershow stole second and with the second baseman mentally napping on the play, Hester came home for the third and final run of the frame. Then the bottom of the seventh came. With one out, the Pointers got a single. Then came the most controversial call of the day. Brady Young hit a ball to Wehsener. The junior threw the ball to GARRETT MAZZA at second. The throw appeared to beat the runner who, as it looked from the stands, slid straight into Mazza’s glove that had the ball. The base umpire however saw things differently and ruled Young safe to put runners on first and second with one out. A wild pitch advanced both runners up 90 feet. A pinch hitter grounded out to JAKOB BECK at short for the second out of the inning, while Young scored on the play to make it 3-1 Christian. A solid single to center from the left fielder for PLHS put runners on the corners. A blooper from the Mathew Amberg to left field brought in the second run for the Pointers. That spelled the end of the day for Gershow. CAMDEN BESSONE, who has been nails for the Patriots all season, had a 2-2 count to Seth Urbon. Urbon popped up the ball in foul territory in front of the Point Loma dugout. DAVID JOSEPHSON and Bessone came together in foul ground and Bessone didn’t hear Josephson call him off for what would’ve been the final out of the game, ended up landing on the ground and giving Urbon a second life. With that second life he ended up singling just over the reach of Beck. Enter Stowers to try and get the final out, that most of the Christian parents in attendance already thought had occurred. Unfortunately for the Patriots, Spencer Gedestad singled to left for the walk-off hit and a Pointer victory. The Patriots will take on Francis Parker on Thursday (Mar. 31) to continue the Bill Dickens-City East Classic in El Cajon. LA JOLLA 4, STEELE CANYON 3 – Steele Canyon, which averaged 12 runs in the recent Lions Tournament to win the 6A Division title, couldn’t generate much of anything in Tuesday’s (Mar. 29) first round of the Bill Dickens-City East Classic. Fact is the Cougars produced only 2 hits – a double by AVERY TUCK and a single by LUKE ARIAS. Only the speed of MATTHEW BAGDASAR kept the pressure on the 9-2 Vikings. In the third inning Steele Canyon tied the game 1-1 as Bagdasar walked, advanced on a pair of sacrifices and scored on a passed ball. The Cougars took the lead in the fourth without benefit of a hit as JOSH ESQUIBEL struck out but the catcher dropped the ball and eventually recovered it only to throw it into right field. The Cougars baserunner didn’t stop until he reached third base. He scored on a wild pitch. The Vikings scrambled back with a run to tie it in the fifth and two runs in the sixth to take a 4-2 lead. Once again in the bottom of the seventh Steele Canyon relied on team speed to rally. Bagdasar walked, stole second and third and scored on a groundout by JASE RUSSELL. But that’s where the Cougars offense stalled. CATHEDRAL CATHOLIC 8, VALHALLA 2 – Host Valhalla dropped its 10th straight game by committing seven errors to present visiting Cathedral Catholic eight unearned runs in Tuesday’s (Mar. 29) first round of the Bill Dickens-City East Classic. After falling behind 3-0, Valhalla punched across a run in the second inning. BROCK MOSIER doubled to left and scored on Cathedral’s only error of the game. The Norsemen added a run in the fifth frame with the aid of the Dons’ pitching staff. CJ BROWN singled to center and advanced to second on a balk. RILEY O’SULLIVAN then singled to left, scoring Brown. Valhalla wasted a triple by COLE HOWARD. Dons’ shortstop Quinn Hoffman was 3-for-5 with 3 runs scored. Kai Walter drove in 3 runs – 2 coming on a home run to right in the sixth inning. MIRA MESA 2, MOUNT MIGUEL 1 – The Matadors wasted a solid pitching effort by freshman TREVOR DARBY, who allowed only one earned run in five innings but was tagged with the loss in Tuesday’s (Mar. 29) first round of the Bill Dickens-City East Classic. The Matadors mustered only 6 hits against the Marauders’ Sammy Huber, who pitched a complete game. Mount Miguel scored its only run in the fourth inning as MIGUEL OROZCO led off with a single and advanced to second on a sacrifice bunt by CAMERON BEAUZEC. AUSTIN ORTIZ slashed a single to put runners at the corners. DEVIN PATE grounded out to score Orozco. SCRIPPS RANCH 8, MONTE VISTA 3 – Visiting Monte Vista could not generate a single RBI against a pair of Scripps Ranch pitchers in Tuesday’s (Mar. 29) first round of the Bill Dickens-City East Classic. What offense the Monarchs did show came in the fifth inning with two outs. JON GULLEY singled to center and TYLOR MARQUEZ banged a base hit to right field. A Scripps Ranch error scored Gulley and gave ANTHONY ROSARIO safe passage to first base. Marquez scored on a wild pitch. After stealing a base Rosario rode home on another wild pitch. Monte Vista had the bases loaded in the seventh inning but failed to produce. ST. AUGUSTINE 7, EL CAPITAN 0 – Upon return from the spring vacation, El Capitan coach CLAYTON CURO didn’t like what he saw. His Vaqueros put out a hapless effort in the first round of the Bill Dickens-City East Classic on Tuesday (Mar. 29) in Lakeside, falling to hard-throwing Jack Dashwood and the St. Augustine Saints. Twice El Capitan (4-5) stranded runners at second and third as Dashwood completed a 4-hitter. The Vaqueros’ attack consisted of a double by MYLES EMMERSON and singles by TRISTAN DUNCAN, KENNY OLHAUSER and DAWSON McCLANAHAN.